The new Police and Crime Commissioner elections take place on November 15th 2012 and Cllr David Burbage, Leader of the Royal Borough of Windsor and Maidenhead Council (RBWM) is today announcing that he has put his name forward as a potential Conservative candidate for the role. Cllr Burbage said “I am pleased to confirm that I have put my name forward for consideration for the post of Thames Valley Police Crime and Commissioner. This is a role I have both the experience and enthusiasm to deliver, and hope that I can succeed in securing a nomination from the Party to offer my services to Thames Valley residents in November”. As well as being RBWM Leader since 2007, Cllr Burbage served on the Thames Valley Police Authority in 2009/10, and is currently the Chairman of the South East Strategic Leaders, comprising County Council and Unitary Authority Leaders across the south east and nearby. He also currently chairs the Berkshire Leaders’ Group, a coordinating committee of Berkshire Unitary Authorities. This is what you see on the ICO website. Due to rather strange EU regulations, the public sector is implementing all sorts of publicly facing cookie agreements and disclaimers. 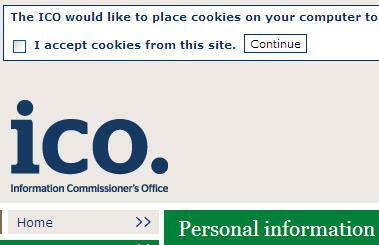 For some reason, it isn’t possible to reject the ICO’s kind offer to place a cookie on my computer. The trouble is, if you don’t click the “accept” box – and merely continue, the box appears again. This worse than a vote in a communist election – in that, you could only vote for one candidate. This, you can choose not to vote, but if you do, they insist you keep going back to vote until you actually do – and there’s only one choice. 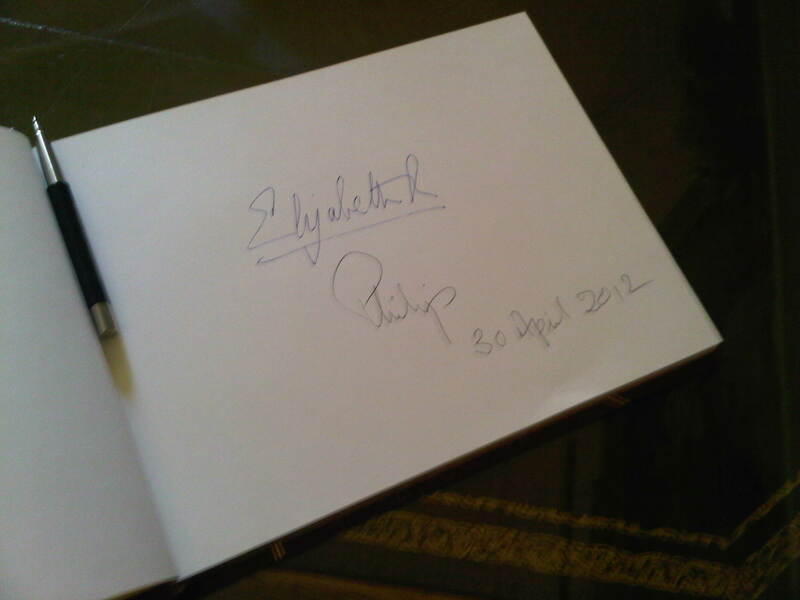 Pictured is the visitor’s book for the Guildhall – signed as you can see by both the Queen and Prince Philip. I was lucky enough to be introduced to the Queen as she entered the Guildhall chamber, and met members of the local community. I’m on in the second half of this video. . . . . . you might get used to the band’s music by the end of the film!